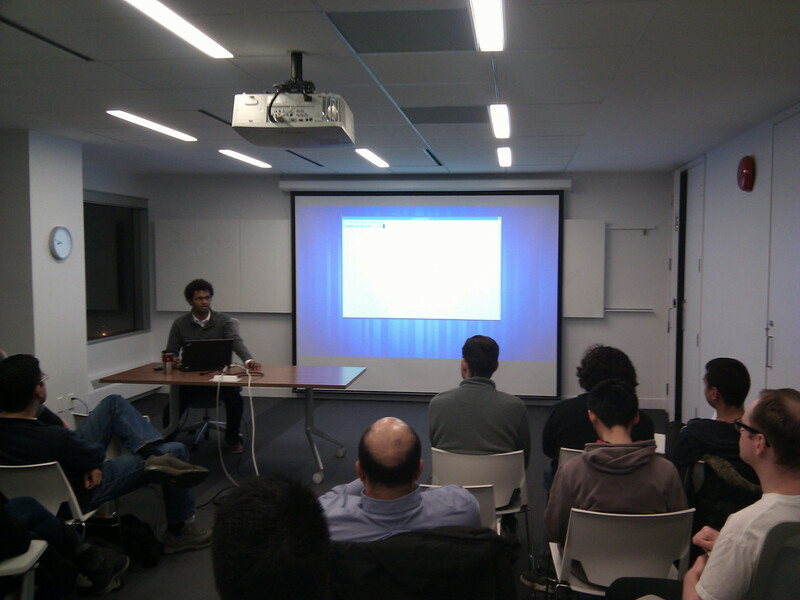 This week, I hosted an Eclipse DemoCamp at the Red Hat office in Toronto. Details about it can be found at http://wiki.eclipse.org/Eclipse_DemoCamps_November_2012/Toronto. It’s my second time hosting one of these events, and I would have to say it’s always a fun thing for me to organize. Getting to see people interested in the Eclipse IDE present/listen/comment on the state of things is always a positive experience, and as a committer it definitely offers some motivation. 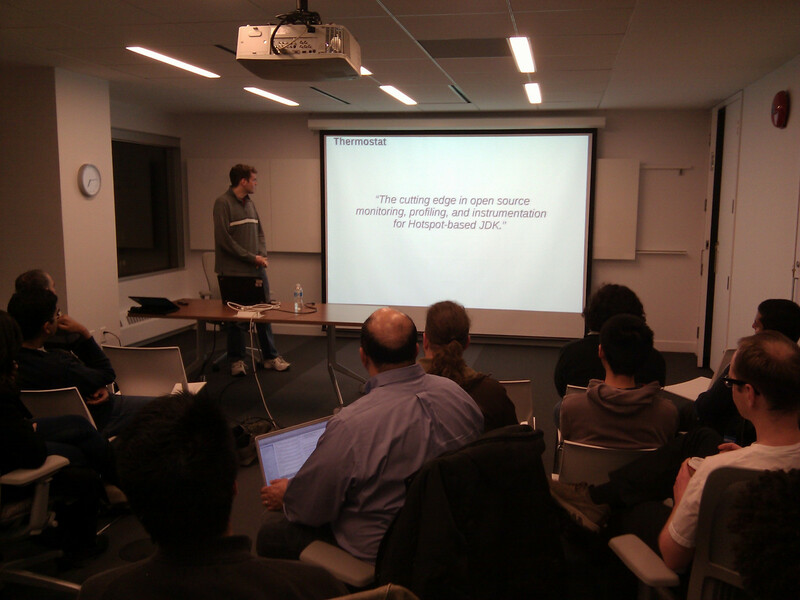 In addition it was a great opportunity to present about some new features for the release of the Linux Tools Project. Elliot Baron also gave a presentation of some of his work to bring the Thermostat GUI client to the Eclipse IDE as a plugin. 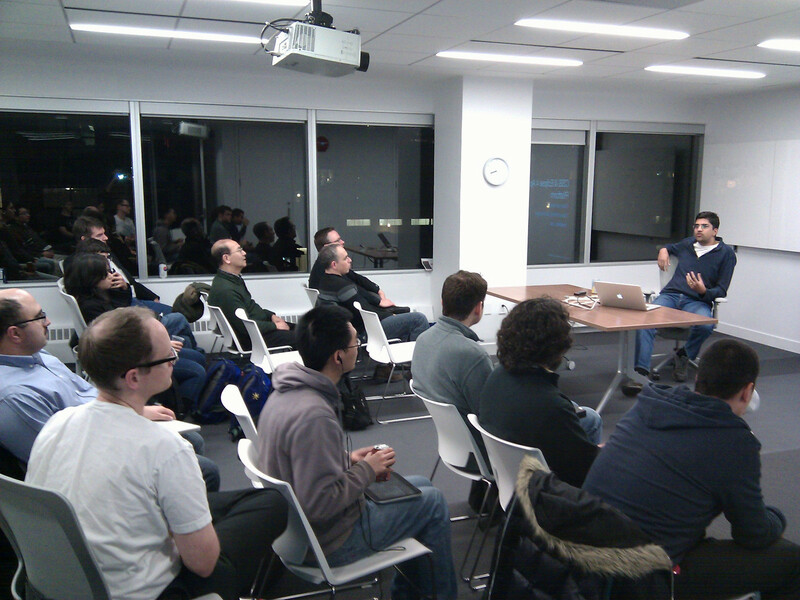 Andrew Ross gave a talk on CBI and how it’s being used to build the Eclipse platform. If you’re interested in trying this out for yourself, there are some great instructions here. It can pretty much all be done with 3 commands! Brian De Alwis presented on tiling editors using the e4 model. In addition he demonstrated how one can easily customize the look and feel of Eclipse applications with just a little CSS. I haven’t looked too much into e4, or how its model compares with the old 3.x approach, but I’m interested to see if it can be used to make life easier for UI testing. Maybe SWTBot can take advantage of some of these features? Sami Wagialla gave a presentation on the Eclipse SystemTap plugin and how it makes life easier for writing scripts. My biggest issue with SystemTap scripting in the past was having to look up particular tapsets to figure out which variables were available in a probe’s context. The Eclipse plugin makes this information readily available through auto-completion. The DemoCamp ended with a change of venue to the Fox & Firkin bar across the street for some refreshments.